For Musicians Only: The Mummy Lives! 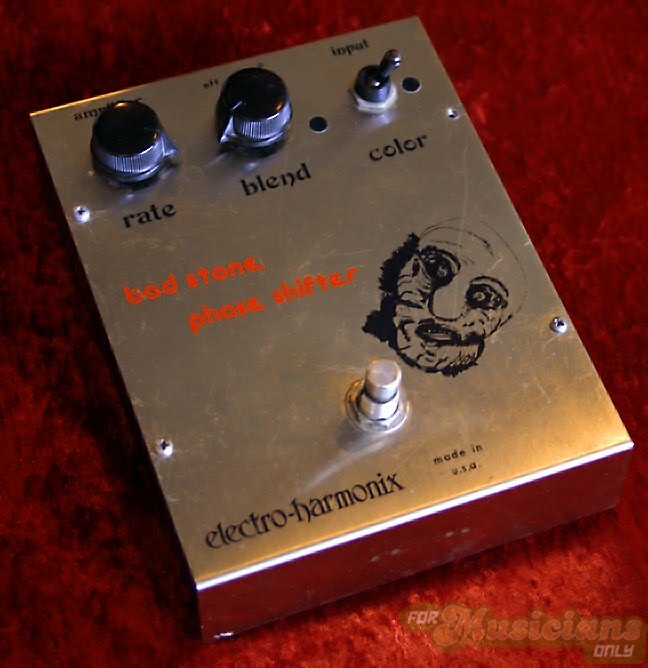 Here's something you don't see everyday, it's an Electro-Harmonix Bad Stone phase shifter. This is the very first version of the Bad Stone, sporting the infamous Mummy Face. The Mummy Face is one of the most baffling and unsightly graphics in stompbox history. I don't know what Mike Matthews and company were thinking with this one… let's just say it was the '70s and leave it at that. 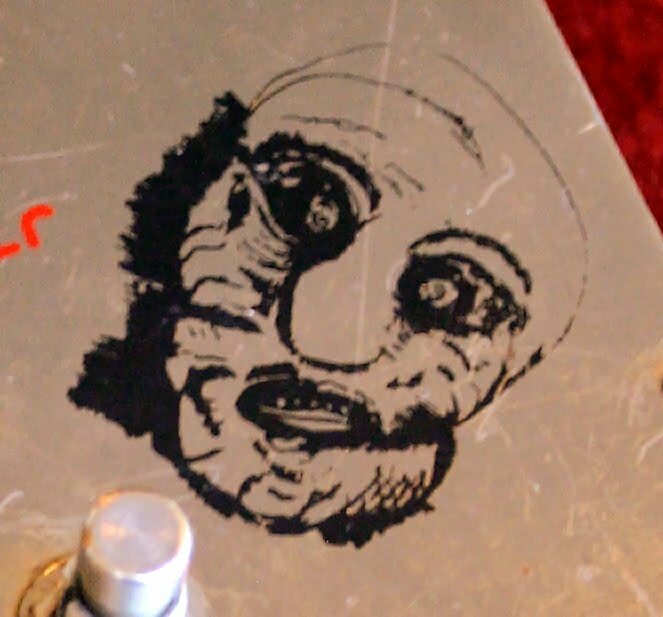 For those brave enough to click, I made sure to include a nice closeup of that hideous Mummy mug. This Bad Stone came to us in bad condition. The customer wanted us to fix it and make it sound good. Well, we succeeded on the first count. As for the second count… well, there was only so much we could do. First, let's talk about the repair – as soon as Greg got it open and had a look at it, it was obvious that someone had been messing with the Mummy, so there had already been some poorly executed repair work. But Greg had it all figured out in less than an hour; he had to replace two electrolytic caps and a pot that had a broken lug. Then he handed the pedal to me so I could check out just how bad this Mummy could be. All I can say is there's a good reason they don't make this one anymore. The Bad Stone is an early FET-based phaser, so the fidelity will be somewhat limited to begin with. Then again, the original MXR Phase 90 and the Maestro PS-1 Phase Shifter both used FETs, and we love those pedals. Anyway, we did spend some time calibrating the unit, but it became apparent that it wasn't going to get much better than what we had. The bottom line is this is a collector’s piece. You don't get it because it's a great phaser (it's not! ), you get it for the Mummy Face. It's all about the Mummy. why didn't they just use boris karloff? he was the best mummy ever. 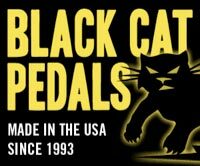 stomp box? i love that -- i don't know what it is, but i love the term, it sounds so useful!